The Temple of Light is the only known place in the Sacred Realm in OoT. 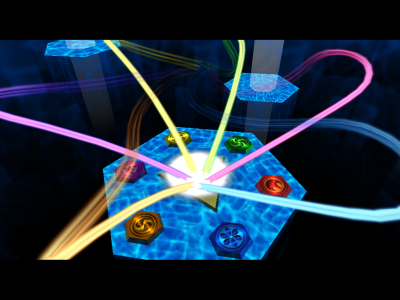 It's also the place where the Six Sages remain, where their powers increase. 3 Has Ganon ever lived inside the Temple of Light? Very little is known about the Temple of Light. Link only visits it six times. The best (and only) known place of this Temple is the Chamber of Sages. From this room, the Six Sages can gather their powers to seal the Evil King Ganondorf. The Temple of Light is situated in the very centre of the Sacred Realm and the resting place of the Triforce. Its power seems great, since it can resist magically to Ganondorf's evil monsters, that have already conquered both Hyrule and the Sacred Realm. This Temple is controlled by its only known inhabitant, Rauru, the Sage of Light. evil; if pure, the Realm will become a paradise. Maybe the Temple is nothing more than the reflection of Rauru's (or Link's) heart. But this raises more questions: Why doesn't the Temple change when Ganondorf enters to the Realm? Why doesn't it change when each Sage is awakened an appears in the Chamber of Sages? Because of this problems, this possibility can be ruled out. 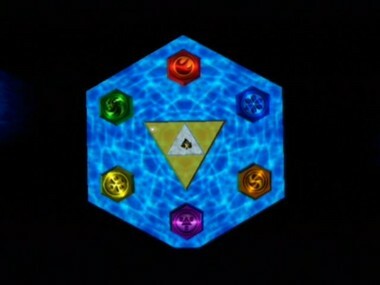 The power of the Triforce might be the solution: although many assume it was never used before Ganondorf takes it, it's possible that the Ancient Sages, after building the Temple of Time, also used the power of the Triforce to create a place where it would remain forever. Has Ganon ever lived inside the Temple of Light? After Ganondorf got the Triforce in OoT, the Sacred Realm converted into a world of monsters. After that, the Seven Sages sealed him inside the Evil Realm, what the Sacred Realm had become. This Evil Realm is the same Dark World from ALttP. Because the Light Temple was built using the power of Triforce, it would have remained there, in the very centre of the Sacred Realm. And it is very possible that it's still there, that the Pyramid of Power is nothing more than the Temple of Light. Pyramids are a solar symbol by excellence, they even were treated as the petrified light rays. 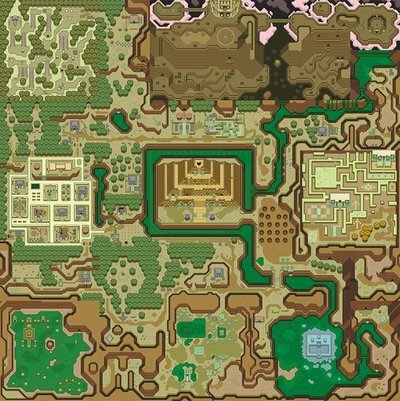 From this a history of the Temple of Light can be reconstruted: After Ganondorf is sealed into the void of the Evil Realm, a world, similar in all to Hyrule is created because of Ganon's evil heart reflected in the Realm. But he cannot conquer the Temple of Light, so he builds a tower in Death Mountain, from where he is able to conquer the place where the Triforce rested, and convert it into the Pyramid of Power, where he would face Link. The Chamber of Sages, the only known part of the Temple of Light. The six sages opening the void to the evil realm. final key to the Sacred Realm. for you to awaken as the Hero of Time! Well, do you understand your destiny? enter this forbidden Sacred Realm! Hyrule into a world of monsters. Namely, this Chamber of Sages. This page was last modified on 7 May 2006, at 09:49. This page has been accessed 43,499 times.